The Cornwall Hospice Care is a charity which was created by the merger of St Julia's Hospice in Hayle and Mount Edgcumbe Hospice in St Austell. The running costs amount to £5million per year, every year, of which only 15-20% are met by the Government. The remainder is met through voluntary contributions such as legacies, donations, fundraising events, a weekly lottery, and income from its shops. This charity provides specialist palliative care to people in Cornwall who are terminally ill. A team of professionals provide a skilled and caring service aimed at giving patients relief from pain and anxiety as well as offering practical, emotional and spiritual support to patients, their familes and their carers. The Hospice provides 24 in-patient beds across the two units, a specialist lymphedema clinic, outreach clinics, day care, family and bereavement support services, home and community support, complimentary therapy and counselling. 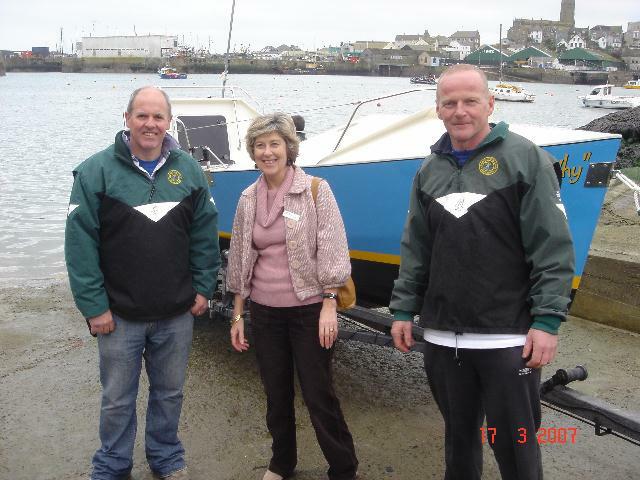 on the day that The Reason Why was launched for the first time in Penzance Harbour.